MesoBioNano Explorer (MBN Explorer) is a commercial software package for the advanced multiscale simulations of complex molecular structure and dynamics which is being developed and distributed by the MBN Research Center gGmbH. It has many unique features, a wide range of applications in Physics, Chemistry, Biology, Material Science, and Industries. It is suitable for classical molecular dynamics (MD), irradiation driven molecular dynamics (IDMD), Monte Carlo (MC), Euler and relativistic dynamics simulations of a large variety of molecular systems being in a solid, liquid or gaseous state. 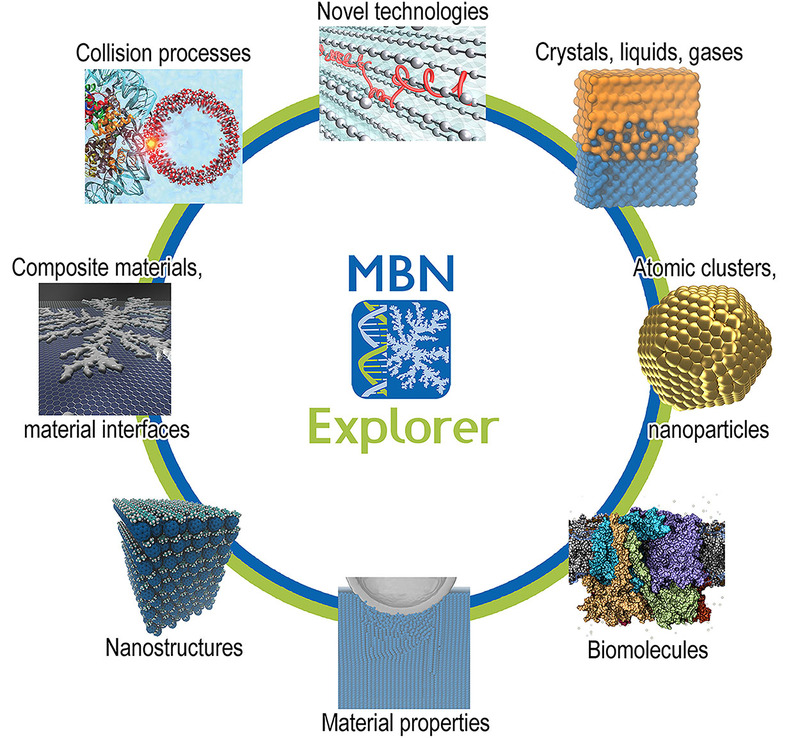 MBN Explorer includes a broad variety of interatomic potentials, and allows to model very different molecular systems, such as atomic clusters and nanoparticles, biomolecular systems, nanostructured materials, composite materials and materials interfaces, as well as to explore their thermo-mechanical properties, to simulate collision processes, and to provide valuable modelling support for novel and emerging technologies. MBN Explorer is available for all major operating systems: Windows, Linux, macOS. 3) Upon acceptance of the registration and the request by the MBN Research Center team, you will receive per email an initialization key and a link to the web page with the free trial version of the software and Tutorial examples.